The Lehigh Junto’s library was eclectic and wide-ranging. It included histories and biographies, religious and philosophical texts, as well as a few books on natural history and medicine. As far as we know, the collection did not include any fiction or poetry. Many of the books seem to have been donated by members, particularly Eliphalet Nott Potter and Henry S. Drinker. 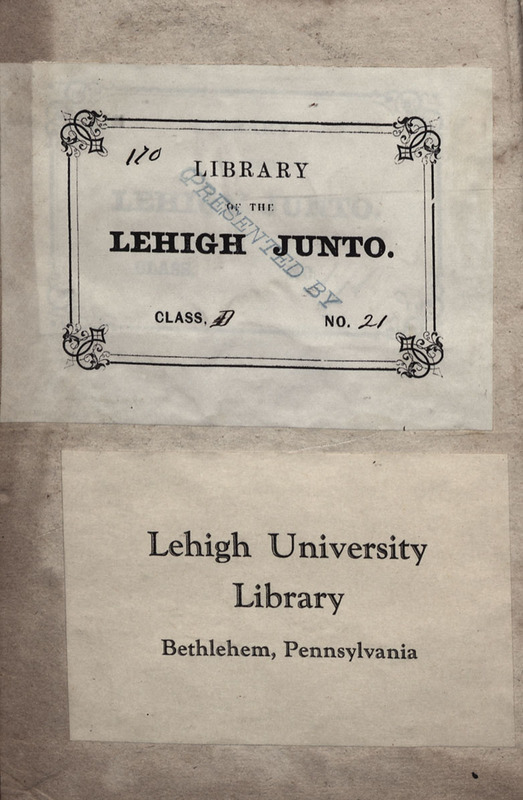 All the books in the collection were marked with a numbered Lehigh Junto bookplate.